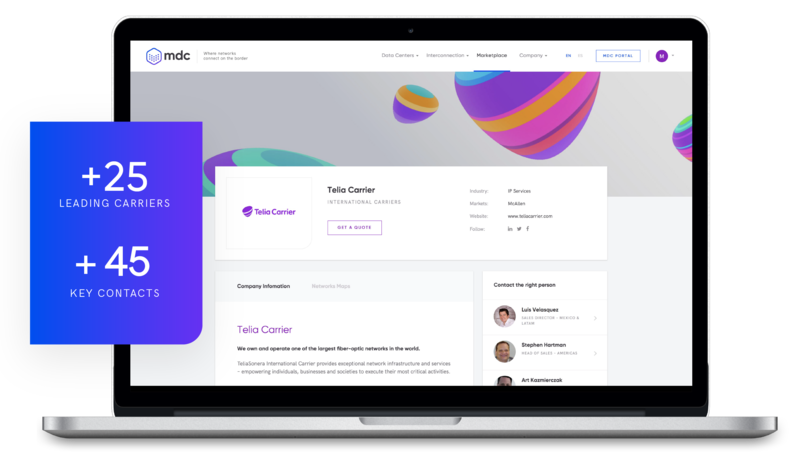 The MDC Marketplace is an easy to use and interactive platform that speeds up the connection between interested parties to buy or sell telecom services. Custom designed storefront with branding elements for your company. Dedicated URL for promoting products and services easily. Notifications to your inbox with qualified leads and business opportunities. Receive matchmaking alerts when a customer is looking for services that you may be interested in providing. No extra charge, it's free. MDC helps you with your selling efforts as a truly business partner. Let's work together. Need for an anchor customer?